New Turf Effect Decoration Lair of the Battle Bear along with precious Roadster Club (Gold) Point; all can be obtained from Limited Lottery! During Limited Lottery event,1 Drawing Chip can be obtained for every 1000 Gold purchased. Drawing Chip! 340 Points in Daily Contracts every day can get one as well! Want to get brand new [Lair of the Battle Bear Turf Effect]? $99.99 USD [Super Exclusive Gold Pack] contains the most 44000 gold among all the packs in same tier. 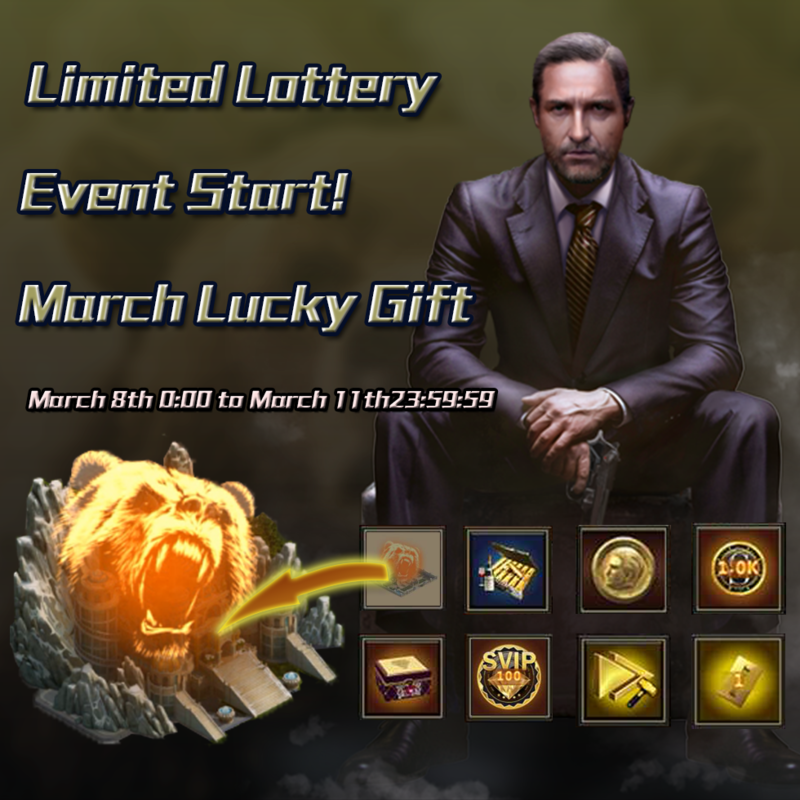 With just one $99.99 USD [Super Exclusive Gold Pack] you will be able to spin the lottery for 44 times from Limited Lottery! Reward pool has Golden Gems, Godfather’s Coin, SVIP Points, Roadster Club Point, Advance Teleport and Roses available, each spin can accumulate Luck points that can increase the possibilities on rare rewards! Unlimited Purchase Event is ongoing at the same time, not interfered with Limited Lottery! Unlimited Carnival, Unlimited March Purchase Has Begun!